It’s always a great feeling to have the most favorite food at a renowned restaurant and some Innovative Cocktails? It is indeed a Divine feeling. I got an opportunity to try out Breakfast, Lunch and some Signature Cocktails at Church Street Social on 20th Day of September 2015. Social Invited few Influencers in the town to try out the #newmenu which included Indian & American Fares for breakfast and some exotic Indian dishes for Lunch. Ambiance of the Church Street Social is just superb! The decor is exclusive, with a huge bundle of creativity unnerved in, which gives the place a pastoral, warehouse setting which works very well with the young crowd that droves the place! There are chains hung from the ceiling; they have been our prop for plentiful portraits! 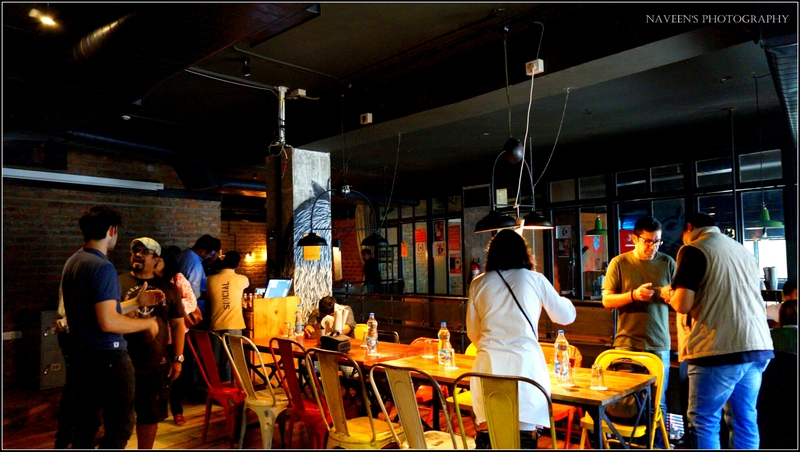 Church Street Social is well known in Bangalore, since their Menu changes quite often and that’s one of the USP’s of Social’s. As usual, a dedicated blogger table was reserved to us with some interesting accessories on Table. Unlike the other places, staffs were super excited to showcase their innovation with respect to both food and drinks. The Foodies are fond of taking food pictures, that’s become a mandatory nowadays when we head to any restaurant. Folks arranged a dedicated table to capture photos. Chakhna “Bitings” Tiffin, which was served in Mumbai’s most famous Dabbas, It has got Muruku and Peanut Masala. Chinese Bhel is something I tried for the second time and it was good, but I feel spice level was bit low. Masala Cheese Pav – This is something, which everyone should try. Pav was extremely soft and topped with melting cheese and bell peppers. This dish was truly “Luscious”. Bombay Bhel –It wasn’t new for me being a Street Food lover. Bhel was upright with spice, sweet and sour. It was presented nicely in a glass Jar. Veg Burger – There was no Veg Burger in Social Before. As per public demand, they finally introduced to make the patrons happy. It is indeed great, since it was made with Balti Spiced Paneer mutter patty! Veg China box – Cottage Cheese with Crushed Black Pepper Sauce and Bird Eye Chili on a Hakka Noodles and topped with some crispy noodles. 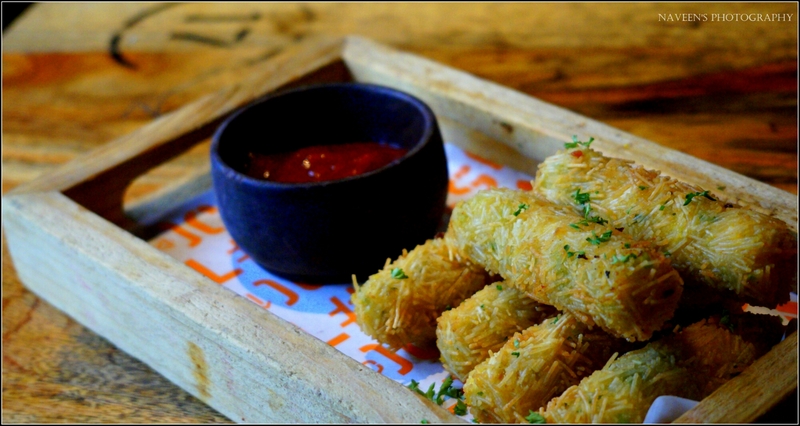 Veg Croquettish – A Dish made with Cheese, Potatoes and Corn. It was served with Dried Chili and Mango Murabba. I wasn’t happy with it, since the dish wasn’t soft. 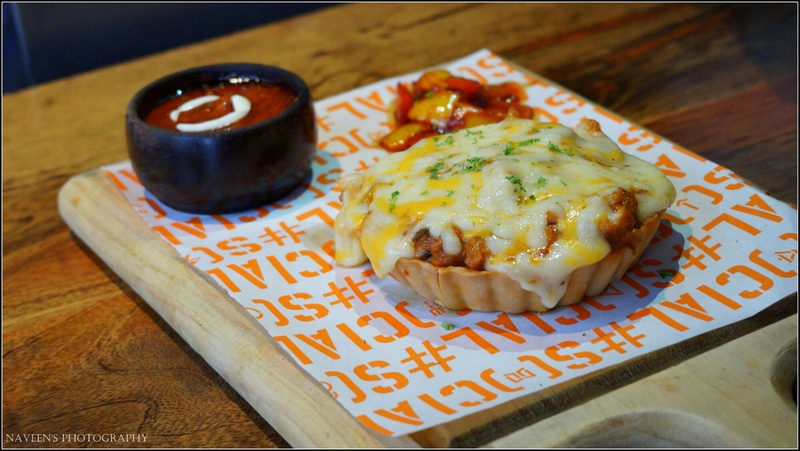 Curried Vegetable Pie – Again a must try dish at Social. It was similar to Kadai Vegetables Curry taste with lot of buttery. Trust me; you will fall in love with the taste. Also, the presentation was extremely good. Street Laksa Curry – Coconut based curry made with laksa paste and served with some exotic vegetables like broccoli, zucchini and bell peppers. I am not a fan of coconut based curries, so I am a wrong person to describe about it. Paneer Makhani Biryani – It wasn’t an Authentic Biryani of Hyderabadi or Awadhi. It tasted like a Paneer steak. Dhingra’s Punjab Breakfast Tray – A wooden tray has got Paneer Paratha, Chole, Samosa, Fried Potato, Curd and Watermelon Lassi. It’s totally worth and every dish is the tray is agreeable and every vegetarian will love it. Watermelon lassi is something, which I tried for the first time and not disappointed though. Along with these dishes, we also tried some Innovative Cocktails like Game of Sing, Acharoska, Cosmo Explosion, Screw Social Driver, Trip on Drip, The Blue Pill or Red and Barrell No 12. These cocktails were just amazing. These were made brilliantly after so much of research! An Experience of trying out these cocktail was splendid and making me eagerly wait to get another chance to visit Social. GadBad Shetty – Gadbad is something which is widely populous Ice cream in India and every packed ice cream manufacturer will have for sure in the menu. 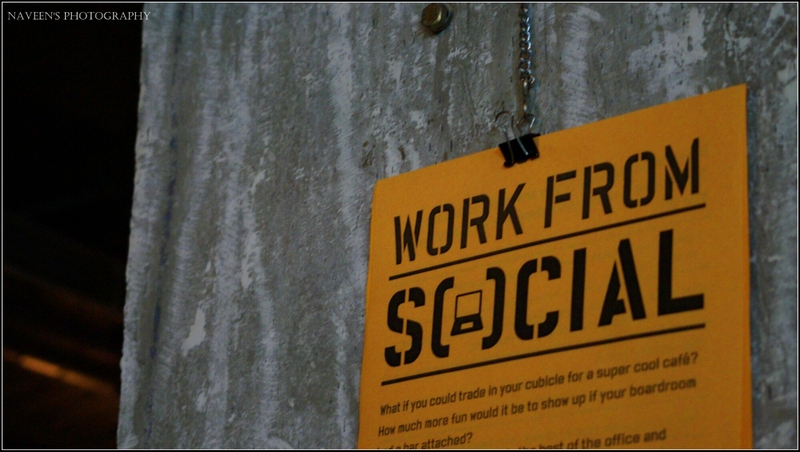 In Social, I find this is unique because of some fairy-tale sauces. Kassa Kay Cassata – Vanilla, Chocolate & Tutti Frutti Ice-cream served on Toasted Bread with Strawberry Crush. Another adorable dessert and one must definitely try this. Service at Church Street Social is remarkable! Folks who work here are knowledgeable, Professionals and have acquainted about the dishes. We got a best in class service from these folks! My special thanks to Mr. Tyrone for his energy in providing unforgettable hospitality. He used to come and inform, whenever there was a new dish arrived at a table to capture these beautiful shots in the Post. 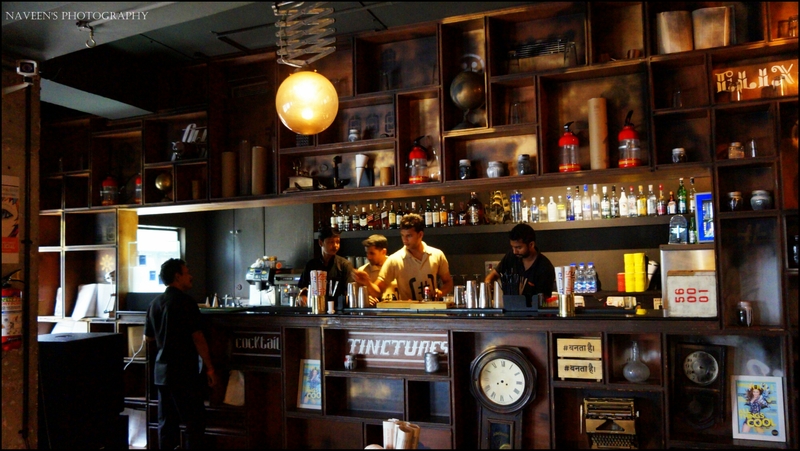 I also would like to Thank Mr. Jones Tackler for his creative Cocktails and Mr. Hitesh for suggesting some best dishes in Veg. I have enjoyed every moment at Church Street Social because of the Milieu and off course some great music. It was an indeed great time with fellow foodies! There is a strong bond, which is built with Social after this Visit. Nice pictures of the food…it looks great! Their rating is pretty good too!